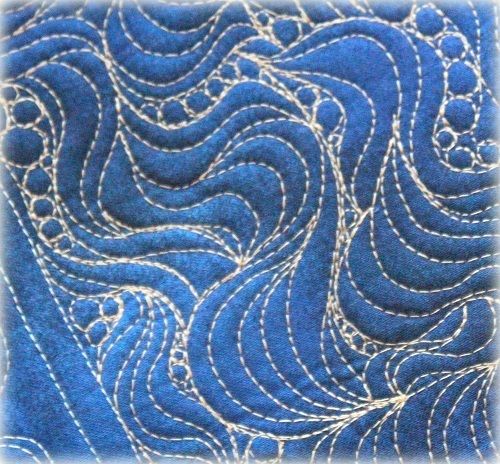 This entry was posted in Quilting and tagged Annie's Machine Quilting Level 2 Class, Annie's Quilting Classes, Domestic Machine Quilting Class, Free-motion quilting, Learn how to Machine Quilt, Wendy Sheppard. Bookmark the permalink. Wonderful looking class! Would love to win cd! Your class sounds terrific, Wendy! I really like your swirly flower motif. I did use Aurifil thread to quilt a recent project, and it worked very well. I have a few things i have quilted, but i need to JUST DO IT and get some done!! Oh Wendy, your newest class looks fabulous!! Loved the format of your first class, this should be equally as enjoyable and informative. I will definitely be registering…….. I can’t wait. Well, maybe I’ll wait until May 28th. Maybe I’ll be lucky!! Thanks for continuing to share your many talents with all of us. Golly, I’m so excited!!! Your class sounds like fun and packed with quilting opportunity, Wendy! I agree, Aurifil is a terrific thread; I’ve been using it for quite a few years now and never have had any problems with it. Keeping my fingers crossed that I win! I desperately need help with my MQing!!! Congrats on the new class! Great designs! Very inspirational. This would be fabulous to win since I’m enrolled in class 1! I’ll be ready for class 2 soon! Your new class looks great and lots of fun! Aurifil thread is a big favorite of mine too! I learned so much in the first class. I am looking forward to taking Level 2. 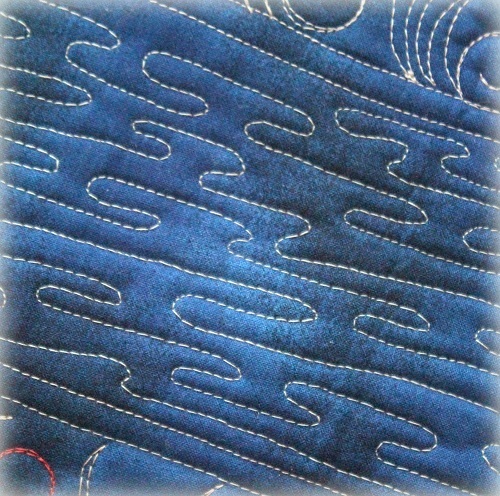 Always looking for new tutorials on free motion quilting – so much to learn. I’m sure I could use this class. I need help. I would love your DVD’s. Living in Mexico I don’t have anyone to quilt with or learn form face to face. This class looks fantastic. Would love to take the class. Thanks! This class looks fantastic! I’ve been FMQing for the last 3 weeks straight. Practice practice practice. I’ve come so far in the last two years ! This work looks just amazing, it is one thing I really struggle with! Oh please pick me to win your class. SPounds like a really great lesson! I’d love to give it a try! it looks awesome! I wish I could quilt so beautifully…. 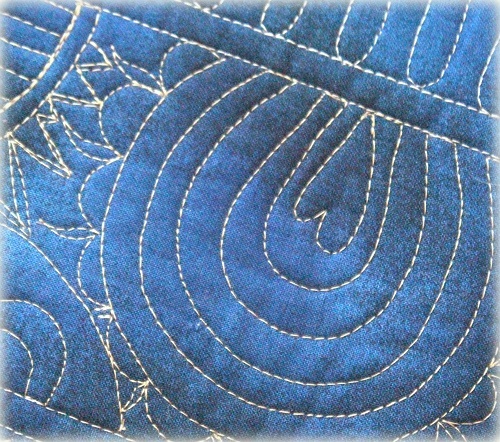 The quilting looks lovely, and doable. Thanks for sharing it. My dream would be to be able to quilt like this! Amazing work! Love the chance to win! Would love to win this. Beautiful quilting! I am always looking for new things to try and to improve my free motion skills, especially feathers! Thanks so much for the chance to win the dvd. The swirly flowers are neat and your feather variations unusual. This looks like a great class. I’m also an Aurifil fan. 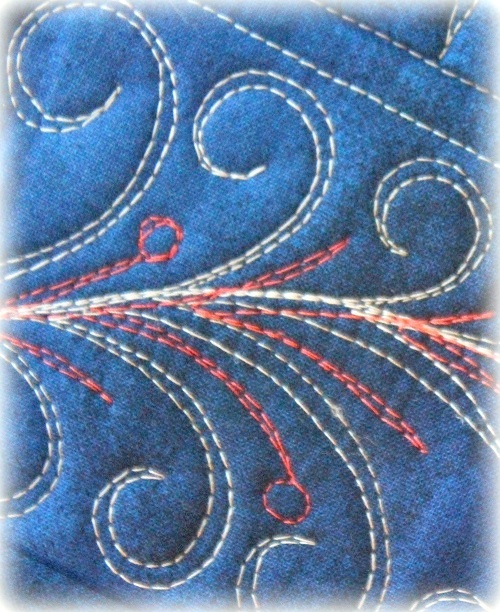 I’m trying to expand my fmq designs and i’ve found your Thread Talk blogs very helpful. Thanks for the opportunity to win this DVD. Your work is gorgeous and I would love to take your second class! Thank you for all of the inspiration you share as I read your email updates! I’d love to take this class online. Fun way to learn the pretty designs. Great quilting. Would love to learn. Your quilting is amazing! I would dearly love to have this CD!! Such pretty quilting! 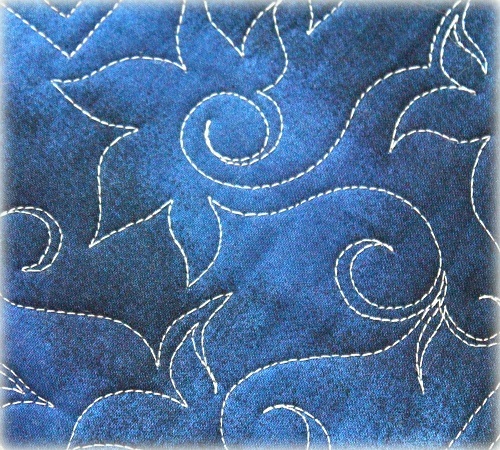 I just FMQ’d my first feathers….this class looks very interesting…. Oh how I would looove to win this class. Many thanks for the chance! 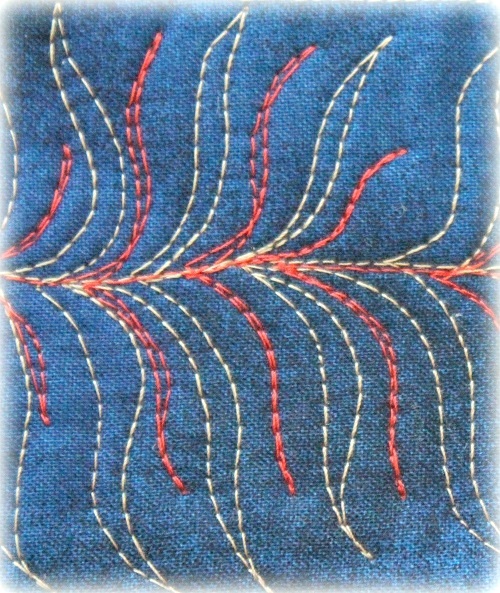 You are my go to teacher for fmq right here in South Africa. 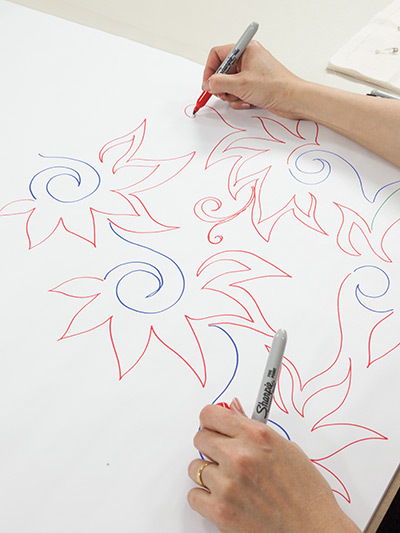 I would love to win your class to learn more about FMQ! Thanks for the chance! 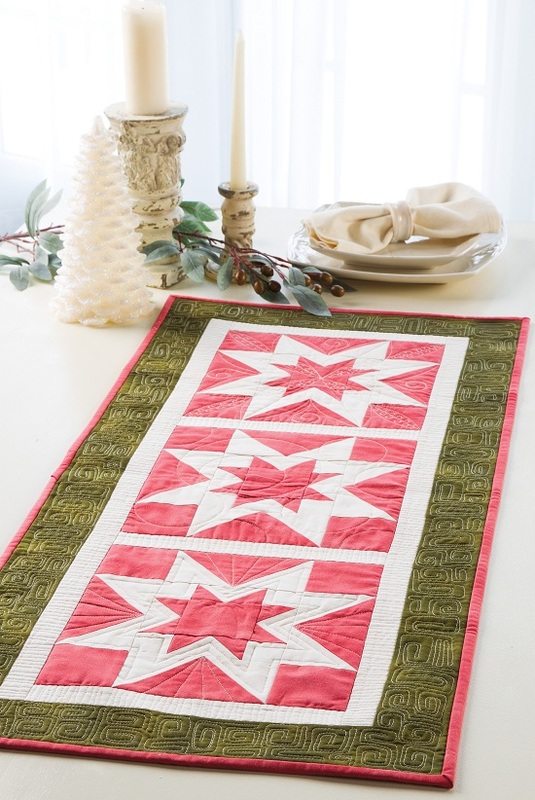 Beautiful quilting – would love to win! amazing results. 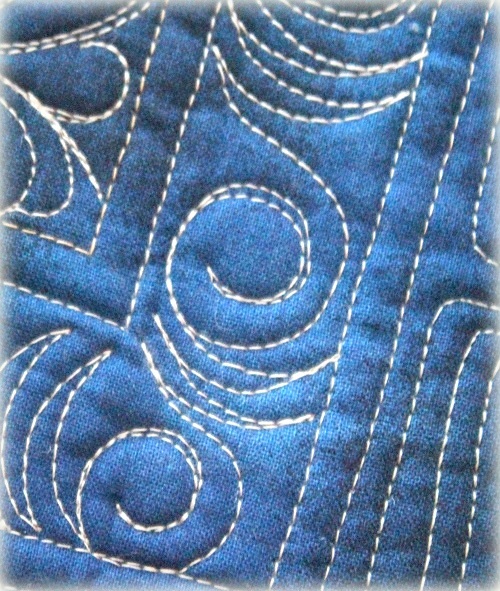 I have a lot to learn about feeling comfortable with FMQ. Your quilting is fantastic. The classes you offer are amazing. What a wonderful giveaway. Thanks for the chance. What beautiful quilting! I’d love to be able to quilt like this! The class looks great. I might even be able to learn using it. I seem to lack the confidence to just jump in and quilt. I think your class would give that to me. I would love to win this class. I finished Class 1 and would love having you teach me these new designs. Thanks for the opportunity Wendy! I have a couple of table runners all ready to go. They have been waiting for quilting ideas, and here they are. Come to mama! Looks like a great class!! Thanks for the chance to win!! Would love to have a DVD of both classes. they look great. While I do enjoy online classes I also enjoy DVDs. And I take all my DVDs for free-motion quilting with me whenever I travel. Great way to learn! Your class#2 looks excellent. Love all your beautiful FMQ designs. I’ve been quilting quite a bit lately and gaining in confidence and fluidity, though I’m still working on choosing the right thread color for any given project. I greatly enjoyed your first quilting class and would love to win the DVD of the second! Your quilting is so lovely. Thanks for the opportunity to win your quilting DVD. Loved the first class, looking forward to the second set of lessons. Would love to win. Your quilting is quite lovely! Thank you for the generous give away. 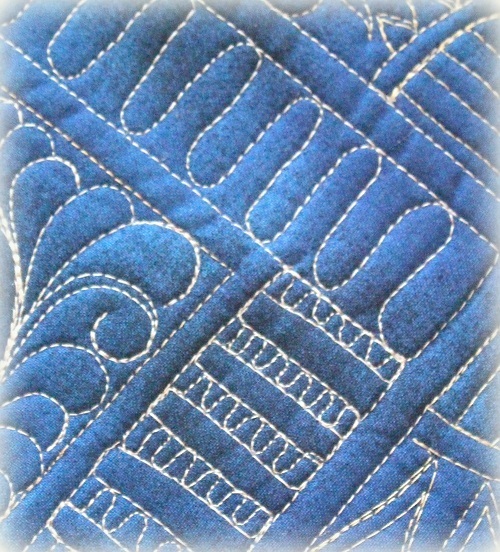 I struggle with quilting designs and would to take both your classes! I love the format of taking classes remotely. Such a wonderful giveaway. I could use all the help I can get and this would be perfect. Congratulations! I loved the first class. Thank you for the chance to win. I love that you can buy the DVD too! That is something I would like with other online teaching venues. 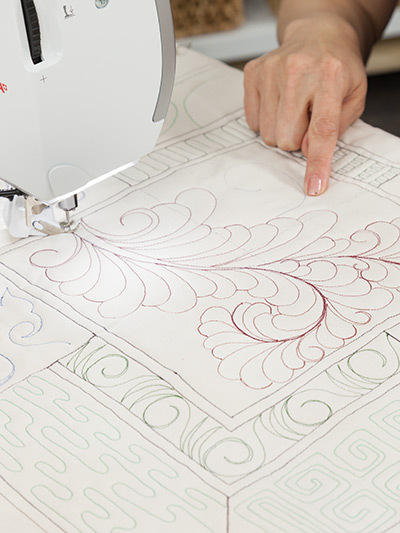 I love your quilting & would love to win this DVD to attempt your beautiful designs! 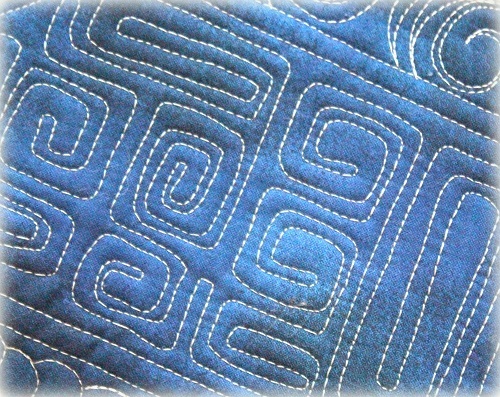 Awesome quilting, would love to learn how to do this , so would love to win the giveaway. haven’t had the nerve to do this yet. This DVD would give me the motivation to try. 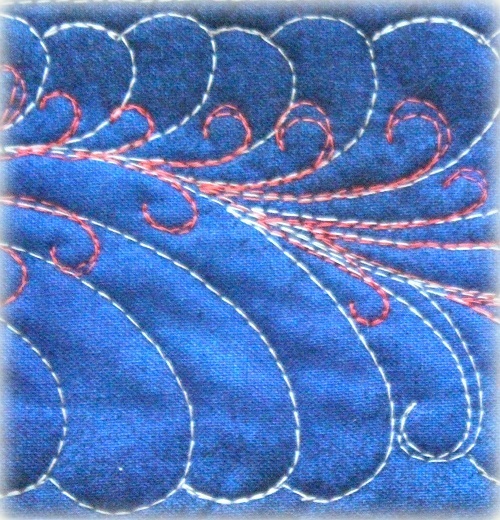 I love your blog, Thread Talk,quilts and patterns. Thanks for the opportunity to win! I admire your quilting so much, very beautiful work. Thank you for this generous opportunity to win. I have used Aurifil thread on 2 baby quilts so far, it is like quilting with butter. Would love to win the second set of classes, if not then I would seriously consider signing up for the course. Thanks for taking the time to put together all the material and sharing your vast wealth of knowledge. I’m firmly convinced you never sleep!!!!! 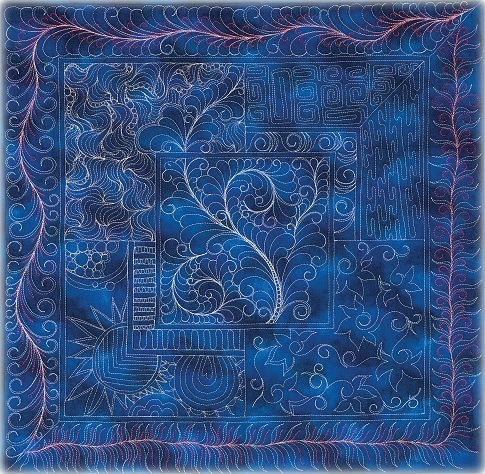 I would love to learn to free motion quilt like this! The class looks great. Thanks for the chance to win! Congratulations on your newest venture, Wendy ! Your quilting is awesomely beautiful! 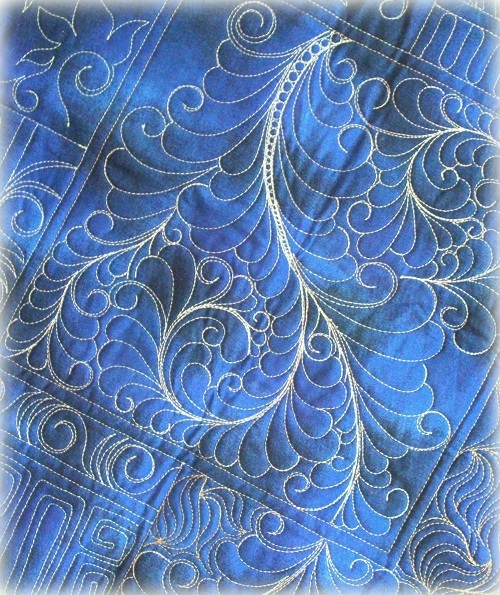 Love the way you did the feathers, need to try it on my next quilt. Sounds like a great class. Thanks for the chance to win! It’s still a bit intimidating, but I’m ready to learn. I am always in awe of your beautiful work, and would love to win the DVD. Thanks for the opportunity! 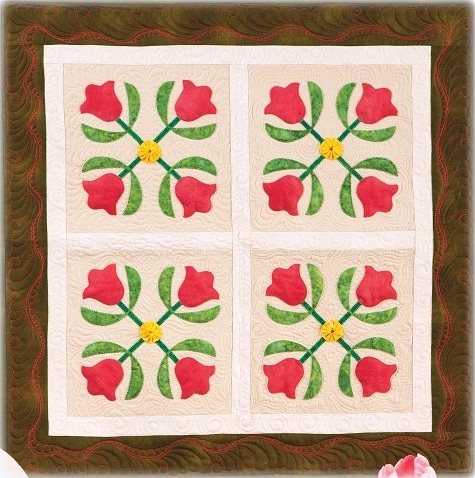 I love your quilting and would love to win a copy of your new DVD! 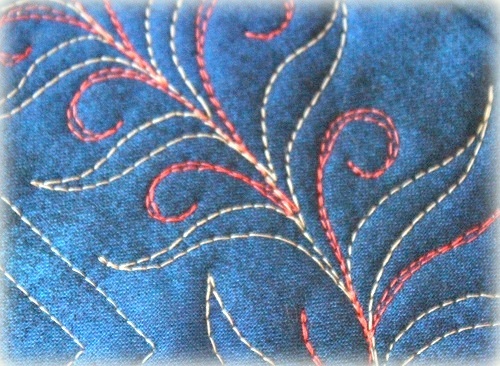 I enjoy reading your blog and all the quilting tips and inspiration. I would love to win. Thanks for the chance. Your blog is so helpful I bet your class is SUPER! Wendy, I would love to win this class!! Wow the pictures posted here show me what amazing potential there is to quilt your own master piece. 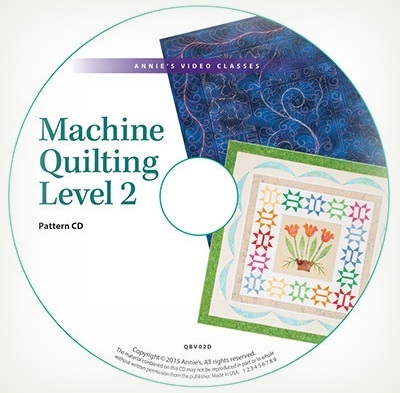 To win this DVD would certainly assist me in being able to quilt my own quilts. 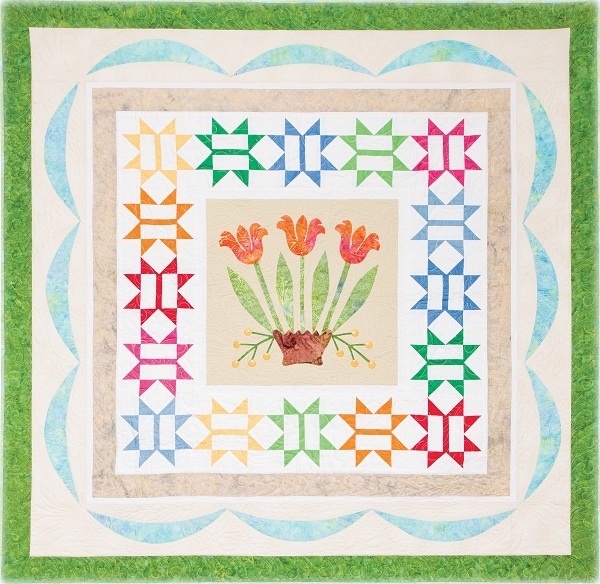 I love the tulip quilts and the star pattern. I wish I knew how to stitch the designs in the DVD. Thank you for the chance to win a copy of the CD. The class looks amazing and the pictured quilts are absolutely gorgeous. I would love the chance to learn to quilt my own quilts. Good luck to everyone! It would be such a treat to win your second on line class. I have the first one and smile when I watch, remembering your explanation during Arkansas lecture about getting it made!!! Love your FMQ designs. Thank you for the opportunity to win a DVD. Would love to win your class too ! Love your work! 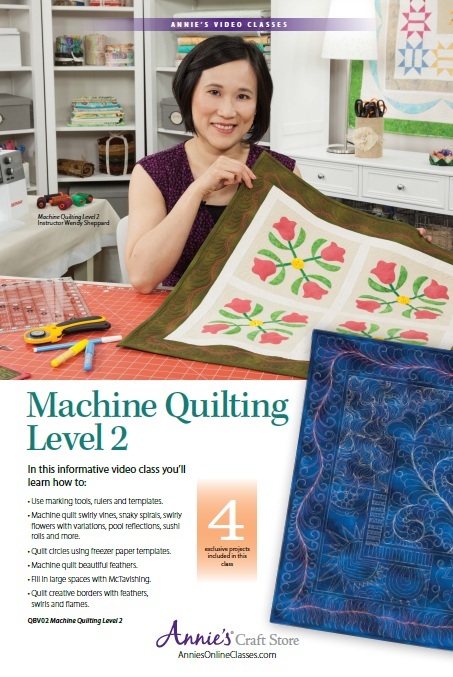 I am very interested in learning about machine quilting! I am from Australia and would love to win you class on CD and learn from you. Where will your Aussie bound quilt be shown? Thank you for giving away a copy of the class video. The designs look really lovely. A friend gave me a DVD of your first class and I have enjoyed watching it. I would love to add this class to my collection. Thank you for the chance to win a copy. I would love to win your class. Thanks for the opportunity to enter.